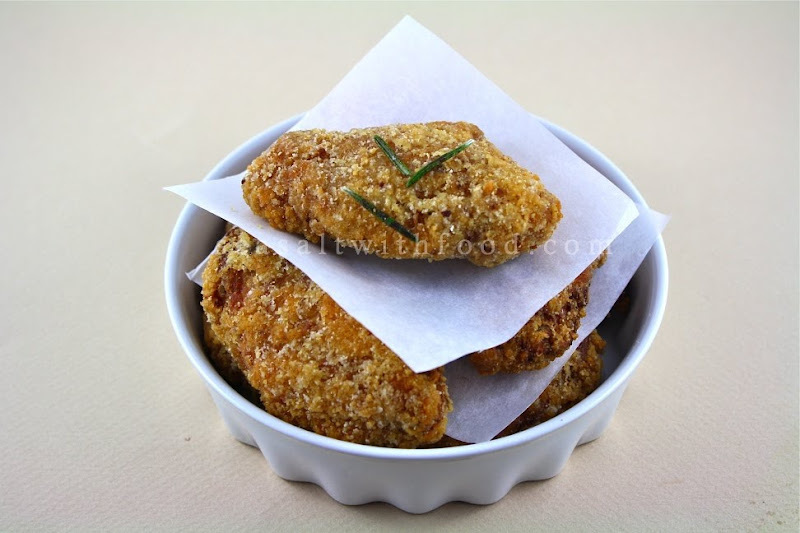 This is a recipe for Crispy Chicken Wingettes, marinated with Peri-Peri Sauce. So, how did I make the chicken crispy? 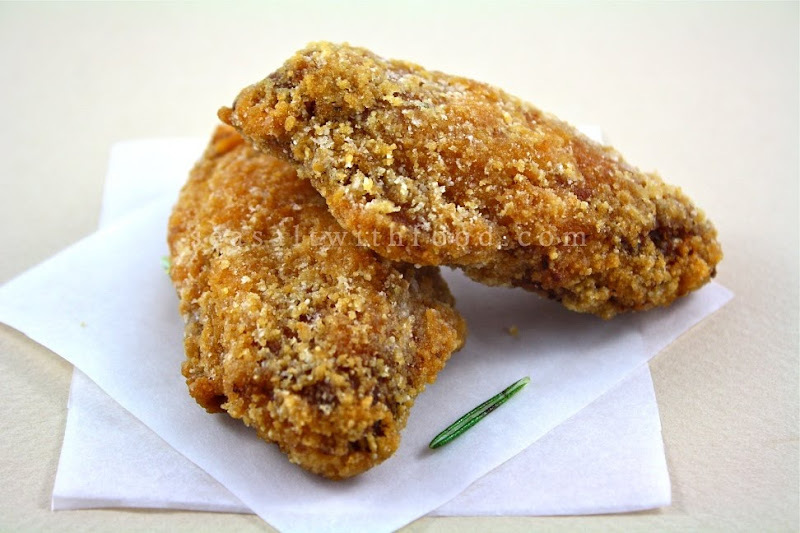 I coated the chicken with sweet potato powder before deep-frying them. I had learnt this secret from one of my friends who operates a Vietnamese restaurant. Anyway, the chicken wings turned out really crispy indeed. Try it. Put the chicken pieces in a large bowl. Add the Peri-Peri sauce, lemon juice and season with sea salt and black pepper. Cover with plastic wrap and put into the fridge for at least 4 hours. Turn the chicken once or twice to distribute the flavors. Pour at least 5 cm (2 inches) of oil into a large frying pan over medium heat. Heat until the oil is hot. Pat the chicken in the sweet potato powder to coat it on all sides, making sure that all the nooks and crannies are covered. Add the chicken to the hot oil and fry until it is crispy and golden. It is important that the chicken is cooked right through to the bone - use tongs to turn the pieces over a couple of times until you are satisfied that they are deep golden and cooked through. Lift out onto a plate lined with kitchen paper to absorb the excess oil. Serve immediately, with some lemon wedges to squeeze over the top, if desired. Oh my goodness the crispy outside looks amazing! I have never used sweet potato powder before...looks great! Sweet potato powder. I have never heard of that! I need to find some as I can think of loads of places I could use it. I love everything sweet potato. This chicken looks great! Mmm, that looks good! Where can we get sweet potato flour? @Anonymous: The sweet potato powder is available at most Asian grocer. We both in fried chicken mood! your winglets look so good. 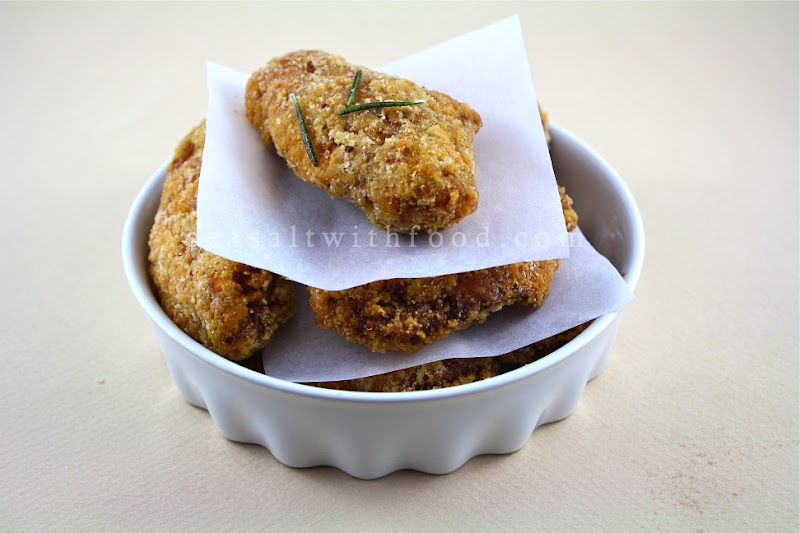 Love using sweet potato flour for deep fried. it gives extra crunch!